CACAHOATAN, Chiapas — The lives of thousands of small-scale coffee growers in Latin America and Mexico are better off because of fair trade. But the system is fraying at the seams in one of the world’s most important coffee-growing regions because of a perfect storm defined by low prices, a damaging fungus and unscrupulous middlemen. Central America and southern Mexico are major parts of the fair trade coffee mosaic and 80 percent of the world’s fair trade coffee comes from Latin America. 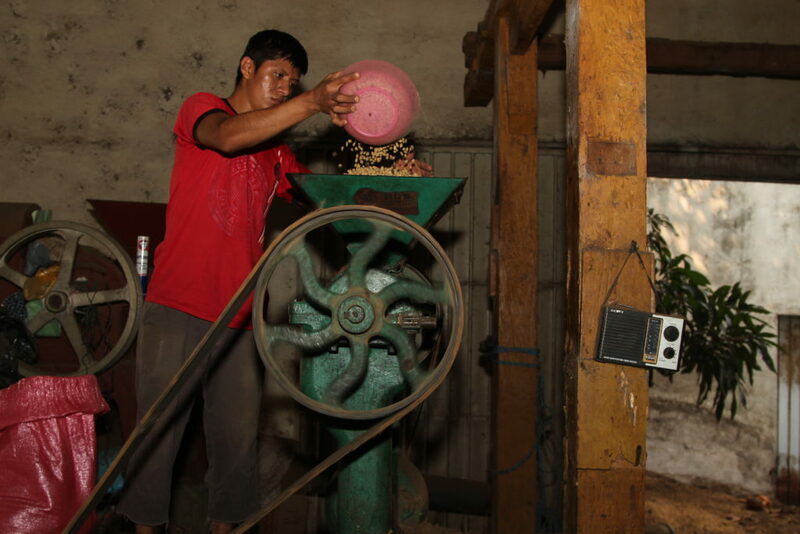 “They pay well,” said coffee grower Pedro Pacheco in Spanish in Chajul, Guatemala referring to the foreigners who buy his fair trade coffee beans. He is a member of a fair trade coffee co-op in which coffee growers sell their beans together sharing risk and reward. He said his co-op works well because its foreign buyers pay a fair price that is locked in and doesn’t change even if market conditions do. “When we strike a deal, the price remains fixed every time,” he said. Fair trade represents around 5 percent of the world’s coffee market. Fair trade coffee means people willingly pay a few cents more for their cup to ensure growers get a fair return for their labor. For growers, fair trade also means relationships with buyers that include cash advances and a steady outlet for the beans. But that virtuous cycle depends on a lot of players. If they’re not all in sync, the system can falter as it has in some parts of the southern Mexican state of Chiapas, where Paulino Agustín and two friends were hunkered down on a mountain cloaked in volcanic soil. “I’m digging and fertilizing,” explained Agustín in Spanish as he planted coffee trees. It will take three years for these trees to start delivering coffee beans said his colleague, Sinael Altamirano. “There’s no money here,” said Altamirano in Spanish as he asked visitors if they’d help him get to the United States. Despite the good intentions of fair trade, the coffee industry as a whole is suffering. Worldwide, coffee prices remain low. “Fair trade— it’s not a perfect system, it’s definitely not a magic wand that can fix all the world’s problems,” said Monika Firl. Firl used to live in Chiapas. She moved there to learn the business and ended up helping organize a fair trade coffee co-op. Now she imports fair trade coffee from three Chiapas co-ops for coffee shops and roasters in the United States and Canada. She said the key to making fair trade work for small scale growers is finding co-op leaders who will negotiate honestly with foreign buyers. There are stories strewn across Chiapas about leaders who make money for themselves by cutting their own deals with go-betweens. “If these farmers can’t get organized in effective exporting co-op, they’re essentially left at the mercy of the local middleman, or los coyotes, as they call them in Chiapas,” said Firl. The term coyote is used to denigrate smugglers, human traffickers and, at least in Chiapas, coffee middlemen. A lifetime of coffee cultivation is etched onto his face. But these days, he said he’s torn. He said his particular co-op just isn’t getting the job done, that it does not result in wages that are commensurate with the labor expended to grow and harvest the coffee beans. That’s why he sold to coyotes last year on the side. They paid a higher price than his own co-op could, or would…he’s really not sure. “We’re not benefiting from our work,” he said. And now, besides low prices, a devastating fungus has manifested itself. Called coffee rust, some scientists say it’s a consequence of climate change. Until three years ago, coffee rust hadn’t been seen at these altitudes. “They lose 30, 50 maybe 75 percent of their total production after years of building up their fields. It’s very demoralizing,” said Monika Firl. Entire coffee growing communities in Central America and southern Mexico have been abandoned because of coffee rust. Now the focus is on planting strains of coffee that are better equipped to resist climate change. But because it takes three years for new trees to mature, that won’t help fair trade coffee or the industry as a whole in the short term. 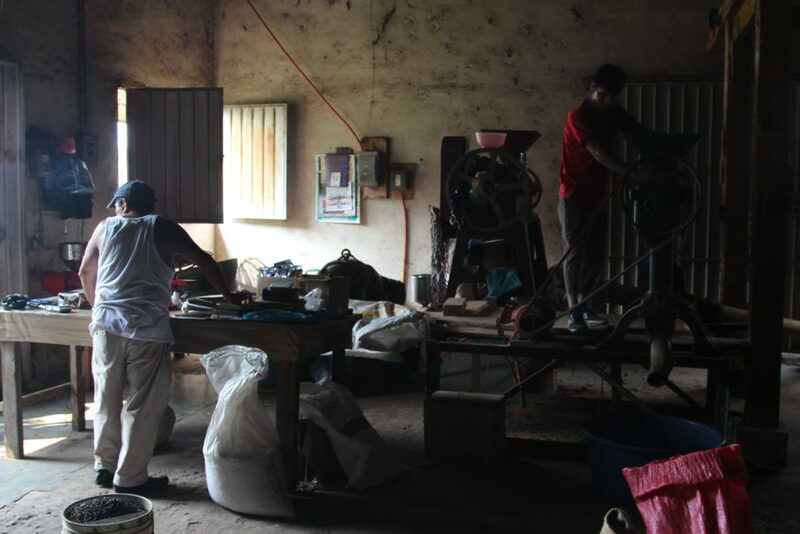 At the same time, fair trade coffee provides some of the estimated 4 million people in this region, whose very livelihoods are tied to coffee production, a safety net in a messy market. Successful fair trade co-ops provide income and stability for those fortunate growers while the majority of their neighbors struggle. This entry was posted in marketplace, Photography and tagged chiapas, coffee, fair trade coffee, Guatemala, lorne matalon, marketplace. Bookmark the permalink.